Millenia Walk has been always kinda out of the way for me. I am glad that now the Promenade MRT also goes to Millenia Walk directly. Making it so much accessible. Actually they are also accessible via City Hall MRT and there is sheltered path all the way from City Hall MRT. Human Traffic seems better these days with youngsters. Especially the pokemon players haha There are some pokestops there. If you are here for the Singapore F1 event, you can consider to check them out too. 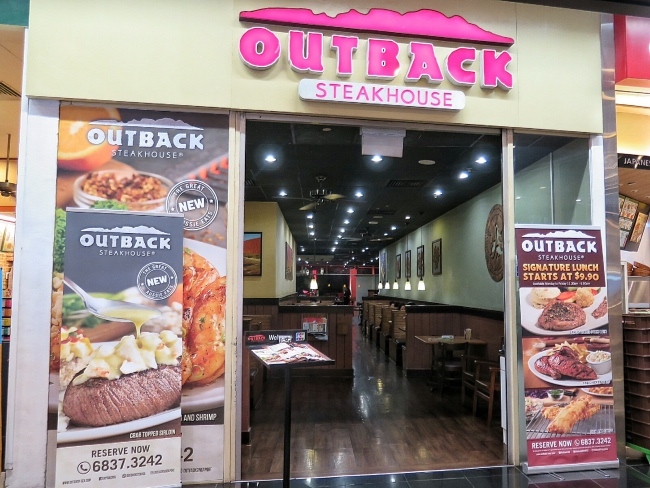 Love the casual wild outback ambience with inspiration from Australia! Ahh.. 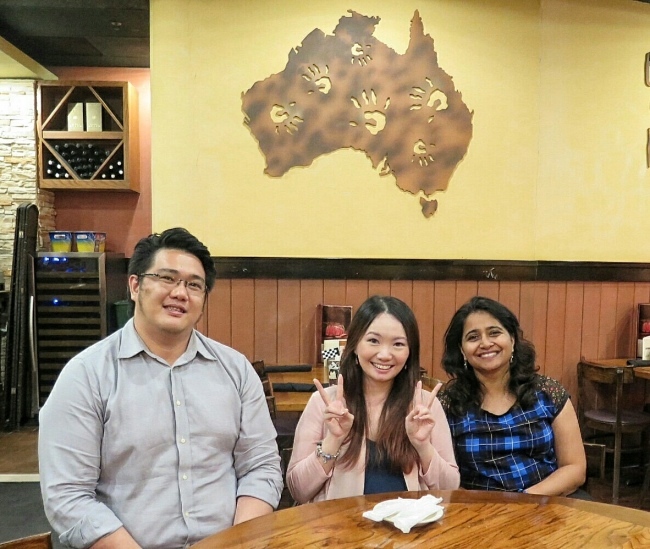 I miss Australia!~ It was kinda quiet when I went for dinner. I understand that their peak period is usually lunch time. I guess they attract the office warriors in the area. 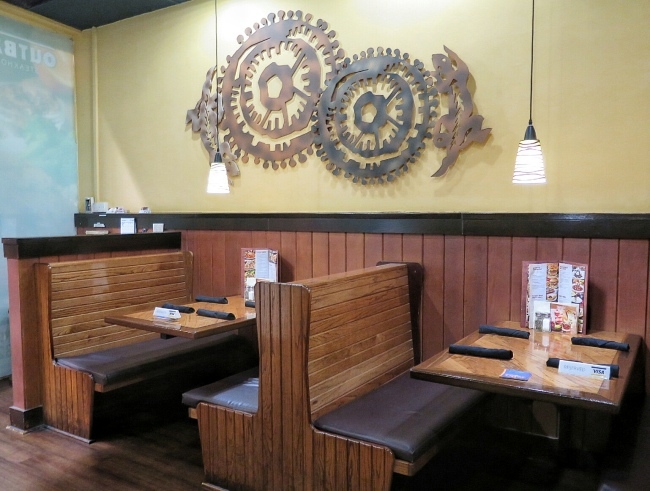 They have booth seats and round tables. 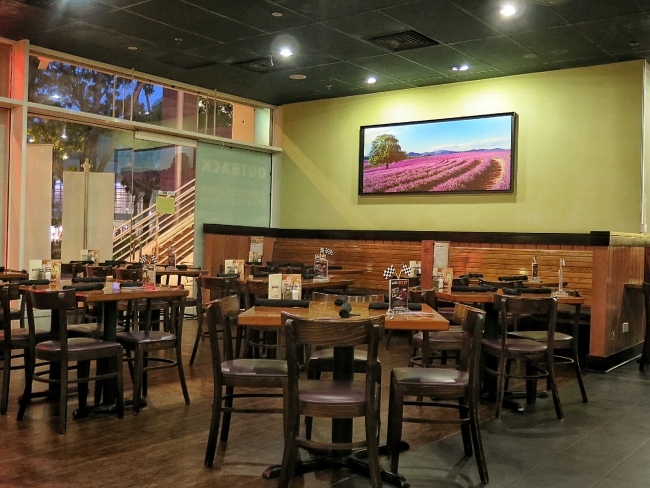 Great for Couples, family and friends gathering too. They do serve alcohol and cocktails. Great for a night chill out. 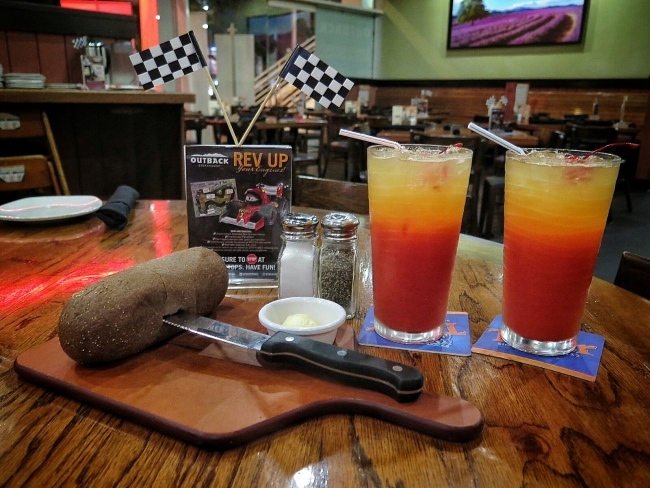 Complimentary warm soft bread with Barrier Reef Punch - S$5.90 . Orange, Pineapple and Mango Juices are blended with pureed strawberries. Not too sweet. Not too sour. Light and Refreshing Drink to start the meal. 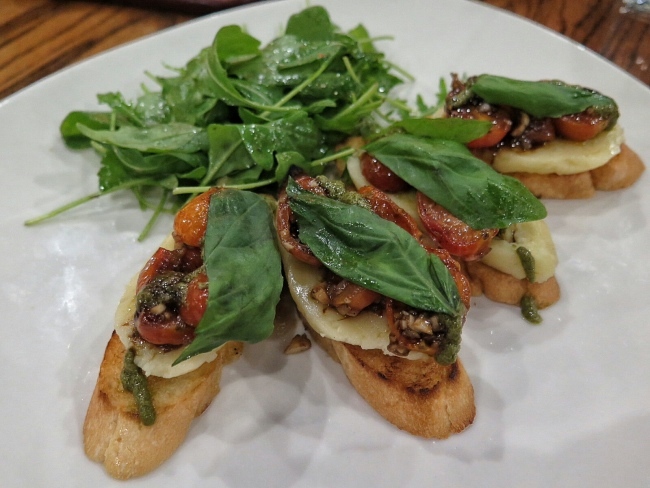 Tomato and Mozzarella Bruschetta - S$14.90 Grilled French Bread topped with Oven Roasted Tomatoes, Fresh Mozzarella and Basil Pesto. A Refreshing Light Appetizer! 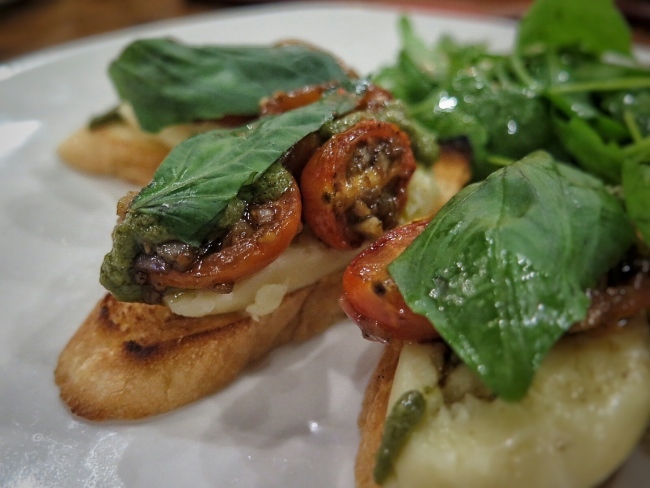 The Tomatoes complements well with the mozzarella and bread. 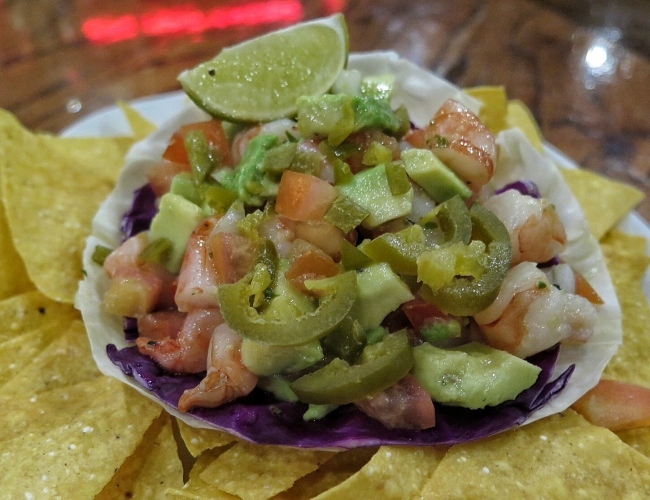 Shrimp and Avocado Ceviche - S$14.50 Shrimp, avocado, onions, tomatoes and cilantro marinated in fresh lime juice, garnished with thinly sliced jalapeno rounds. Served with corn tortilla chips and a fresh lime wedge. 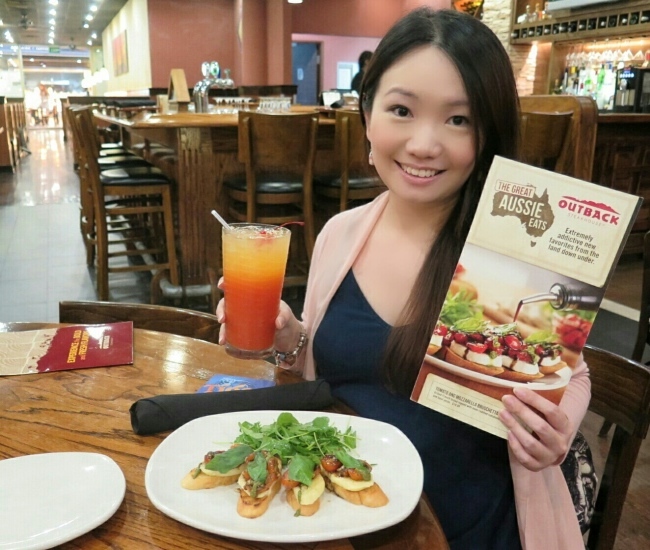 A delicious Appetizer is great for sharing. I love the creamy chunky avocado and crunchy prawns with chips. 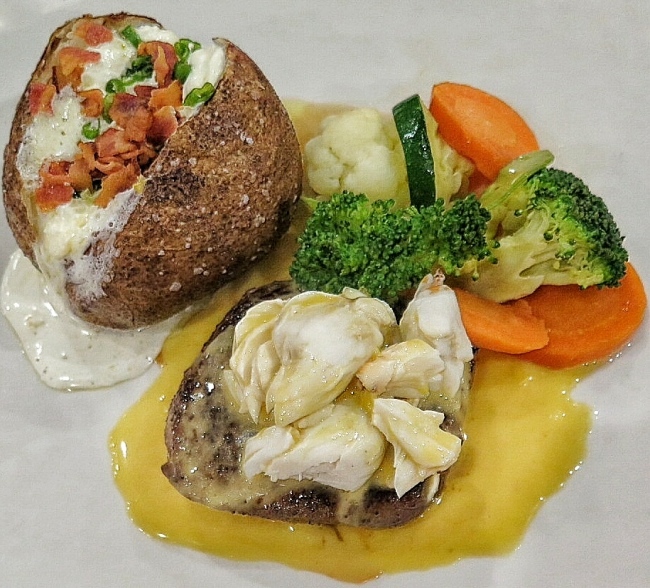 Crab Topped Sirloin ~ Seasoned and Seared Medium Sirloin. 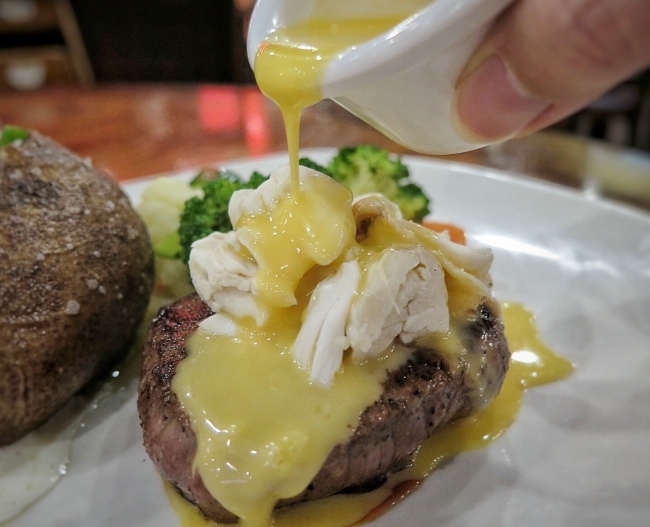 Topped with lump Crab Meats is the Hollandaise sauce with your choice 2 sides at S$ 37.90. 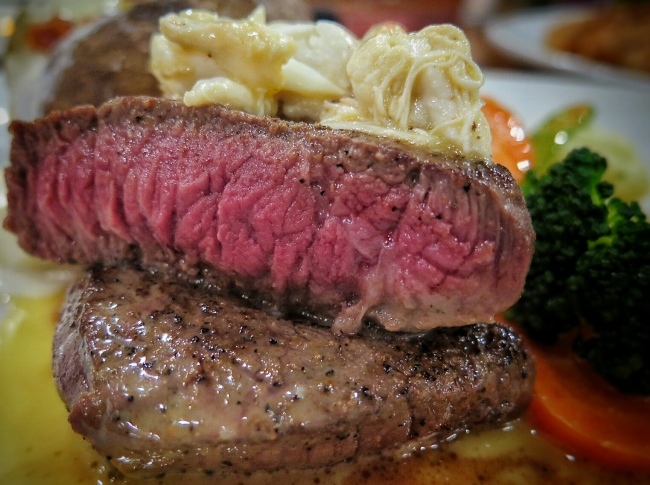 Juicy Tender Sirloin that was cooked to medium doneness. You can specify how well you want them to cook. The recommended option by them is medium. I especially love the fresh delicately sweet crab meat topping. The hollandaise sauce wasn't too over empowering. It complement the beef and crab meat well - make it flavourful! 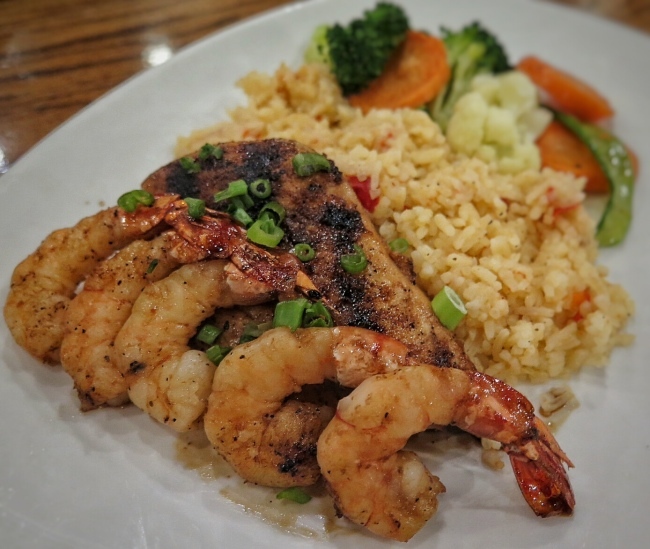 Sweet Chilli Chicken and Shrimp S$23.90 ~ Fire-grilled chicken and shrimp glazed with sweet chilli sauce. 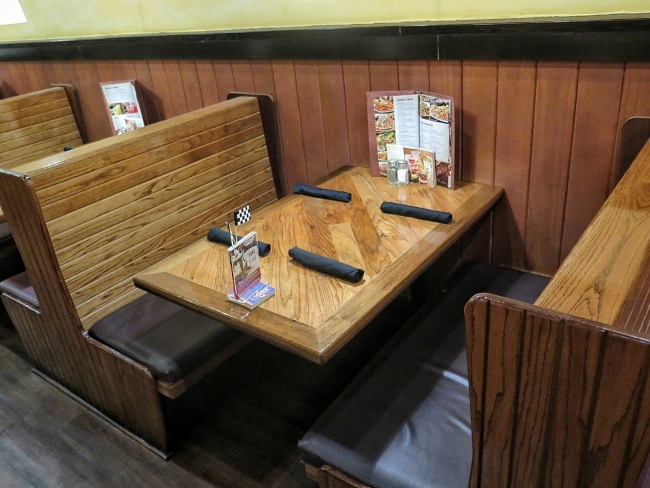 Served with your choice of one freshly made side. The chicken is a bit dry. I will prefer that they offer bigger prawns. If cost is an issue, I rather lesser and bigger prawns. 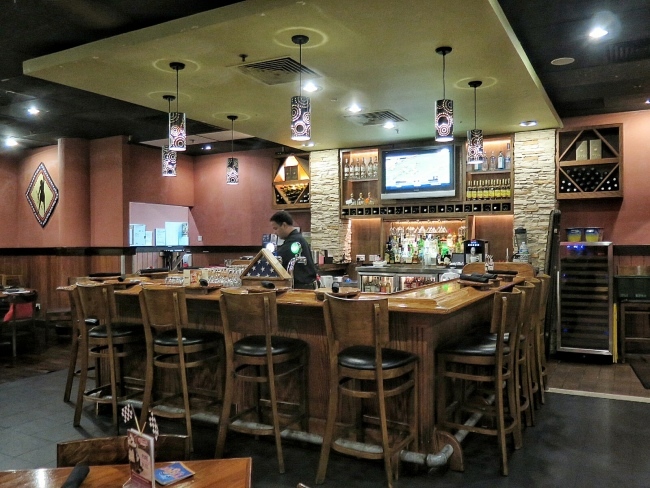 Baby Back Ribs - S$34.90 (Full Rack), S$21.90 (Half Rack) ~ Fall-off-the-bone US pork ribs (Smoked-Grilled). We ordered half-rack to try. Served with Aussie Fries. Brushed with a tangy BBQ sauce. 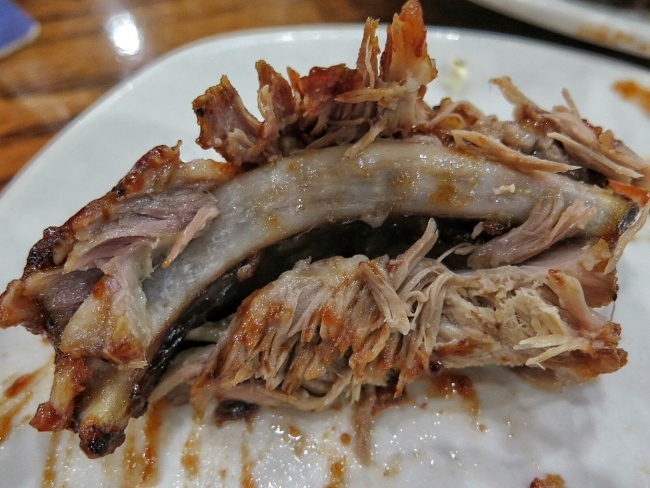 Wow the meat really literally fall off the bone haha. The meat is slightly tender. Not too Soft. Not too Tough. Just right for me! 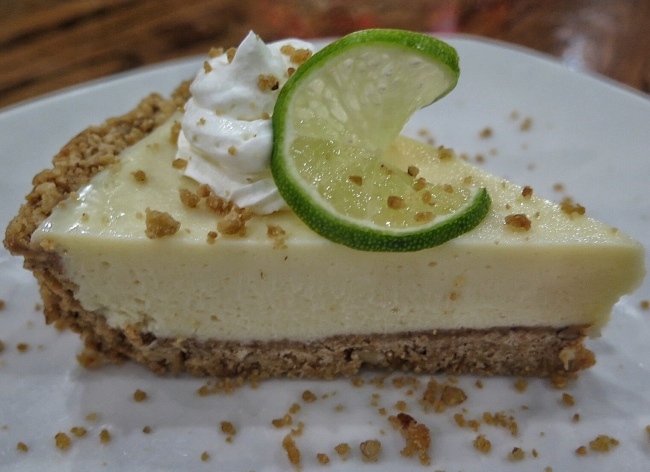 Key Lime Pie - S$6.90 Refreshingly tart and creamy key lime pie in a spiced pecan graham cracker crust topped with fresh made whipped cream, graham cracker crumbs and a twist of fresh lime. Initially I thought it was a cheese pie but actually it is milk and lime only. Very refreshingly sweet ending. Not too sour. Citrusy and Delightful. 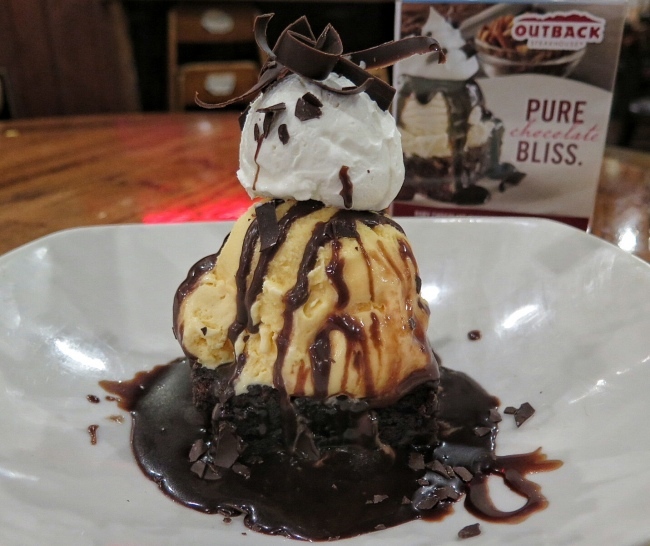 Chocolate Thunder From Down Under S$14.90. An extra generous pecan brownie topped with rich vanilla ice cream, drizzled with our warm chocolate sauce and finished with chocolate shavings and whipped cream. 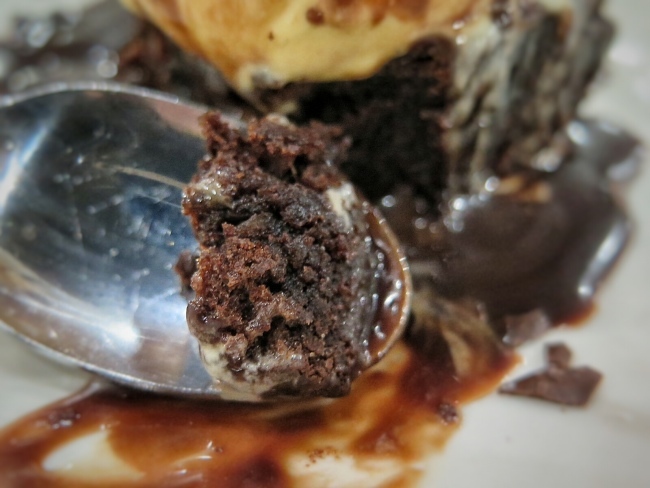 Very Moist Warm Brownie with Creamy Smooth Ice Cream. Wow they even spend the effort to make the whipped cream themselves. I usually don't eat whipped cream but seeing they spend so much I must also give it a try. It feels like a very light ice cream. 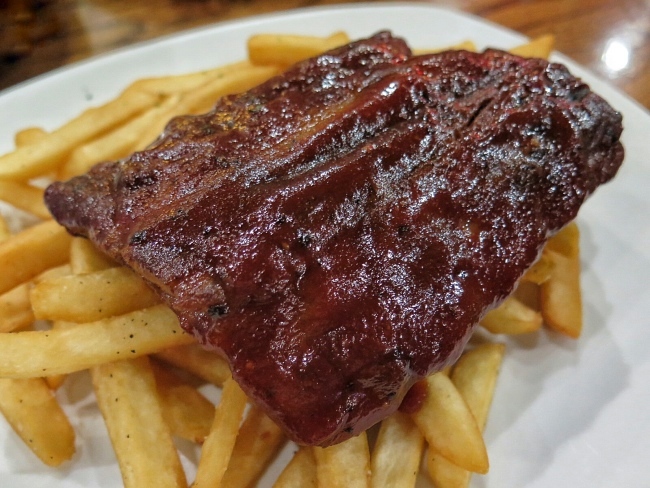 - Baby Back Ribs - S$34.90 (Full Rack), S$21.90 (Half Rack) - We ordered Half rack to try.